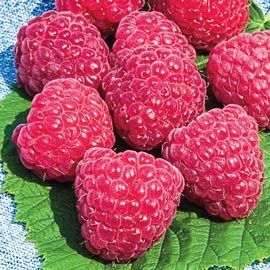 With a flavor like they've been dipped in honey, these big, beautiful berries are our pick for plucking straight off the plant. And to sweeten the deal you get to enjoy one crop in June and another big harvest in the fall! Strong, vigorous canes have minimal thorns and produce hearty yields even in warmer climates. Self-pollinating. Potted. Zones 5-9. Nantahala cv. PP20689. For each offer, get 1 plant. 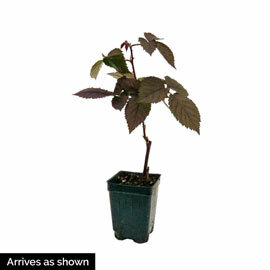 Depth: Plant at same depth as in shipping container. For a bareroot plant: Hold plant in hole, spread roots, plant crown 1 inch below soil; fill 1/2 way; compact soil; complete filling; compact soil; water well. Fruit: Fruit is conical, dark attractive red, longer & wider in size than the traditional favorite 'Heritage'. Firm, yet juicy fruit has a superior, excellent sweet flavor.